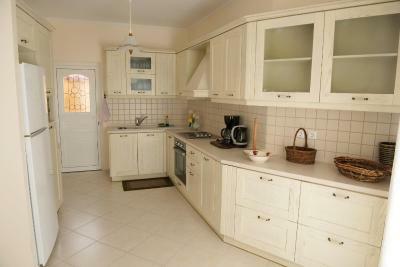 Lock in a great price for Marina's House – rated 9.6 by recent guests! Mrs Marina is an excellent host who will make you feel like home from the first second. 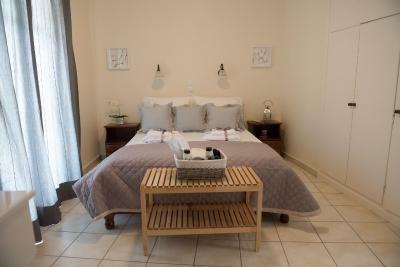 The room, the towels, the sheets etc are all very clean and the beds are very comfortable- top quality! Very friendly, helpful wonan. Very clean & confort room. Good breakfast on the balkony. Good view on the bay & city, on the top of the tourist market. 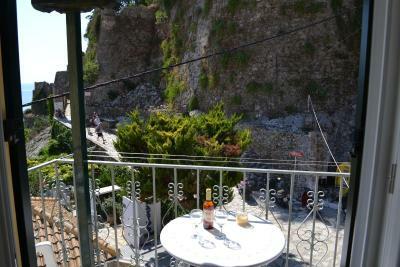 Located in the very center of Parga, really stylish and roomy apartment (with 1 bathroom), spotless clean. 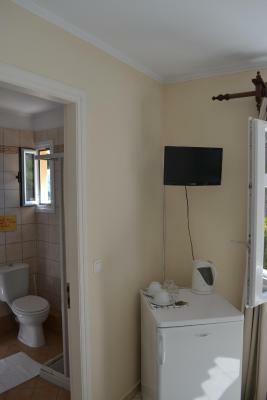 Also good Wi-Fi, big TV screen and a basic mini bar at supermarket prices. The location, at the top of the hill next to the castle, was ideal. Marina was the perfect host. She even did our laundry! I would stay again in a heartbeat. Air conditioner was strong and kept us comfortable throughout our stay. The apartment is roomy, stocked with affordable drinks, balcony just off the main shopping steps, maybe a little too close to the tourists, but not noisy at night. 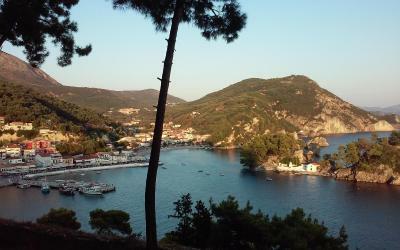 Parga is definitely touristy, loads of tacky shops, but just enough charm to make it comfortable. 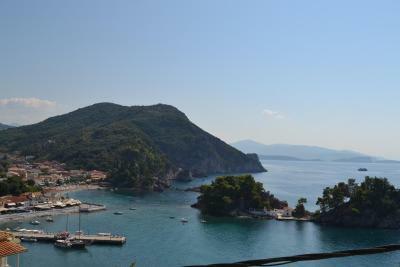 The setting is stunning, gorgeous views, clear clean cool water for swimming. Not for those looking to be alone on the beach. Amazing view if you have the room with the sea view. Marina is very warm and welcoming and always makes sure everything is okay. 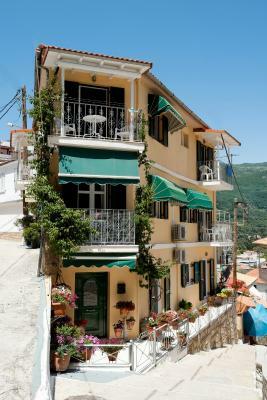 The property is located near great restaurants (Sakis Taverna), and next to a road if you're getting here by taxi. 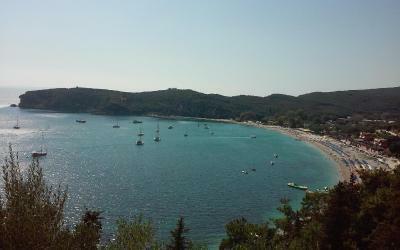 Valtos beach is 3 minutes walk away. Host was very kind and helpful. Showed me where to park, a 5 minute walk from the property. Enjoyed unexpected breakfast on both days. 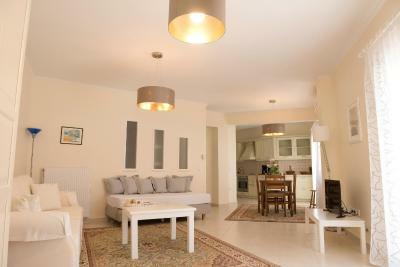 Stunning location with a terrific view over the town and quay. 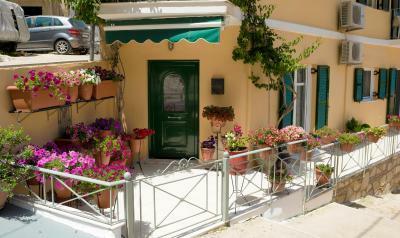 Excellent accommodation in a beautiful seaside village. 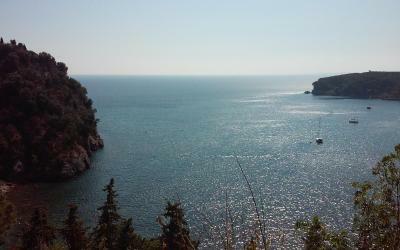 Very short stroll to the beach, castle on the headland and foreshore with its restaurants and tourist shops. Marina was a delight, always available and friendly. She also found us a parking space in the very cramped seaside village and helped with solving a very difficult problem. We highly recommend this property. Marina could not have been more accommodating. She served us a lovely breakfast on our room’s picturesque terrace. Marina even polished off scuff marks from my car-door that I sustained through a dodgy parking manoeuvre. 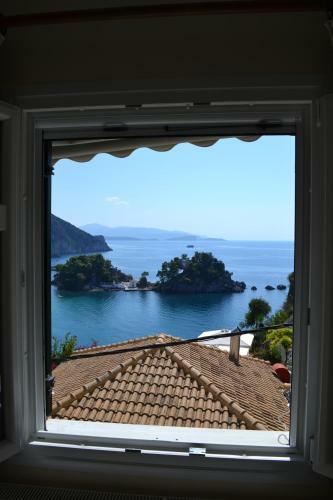 With a panoramic view to Parga's scenic harbor and islet, Marina's House is located only 50 feet from the Venetian Castle on the top of Parga Town. 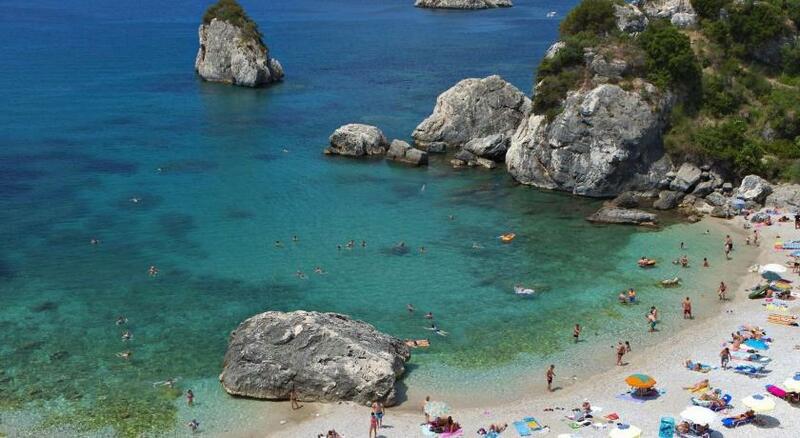 A 600 feet walk will take you to the lovely Valtos beach. Front desk service is available 24/7. 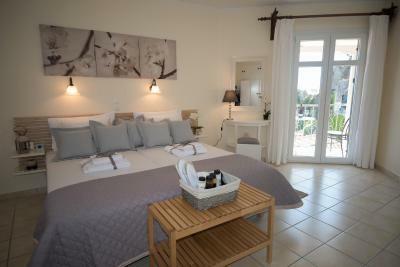 Marina’s House offers spacious rooms and 2-room apartments. All air-conditioned rooms offer a balcony, a refrigerator and TV. Several of the rooms have breathtaking views to the Venetian Castle and the picturesque islet, or the traditional path that leads to the castle. The accommodations features Media Strom beds which are hypoallergenic, anatomically orthopedic so as to ensure your relaxation. 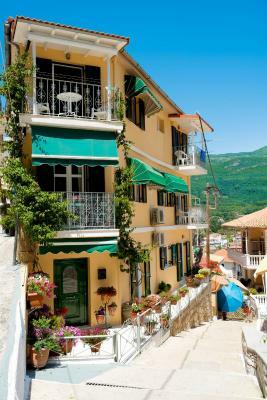 Close by, there are a mini market, cafes and restaurants, as well as a breakfast cafes. 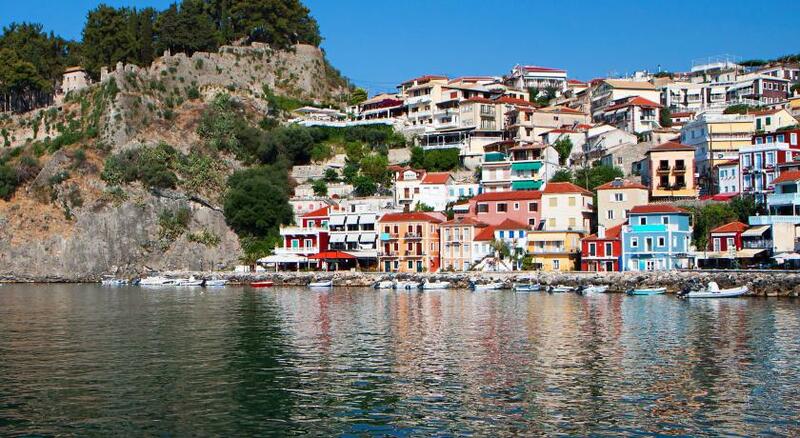 A 5-minute walk through bars and small souvenir shops will take you to Parga center and harbor. 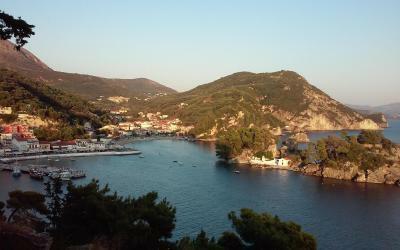 Marina’s House is 0.6 mi from Parga Beach. 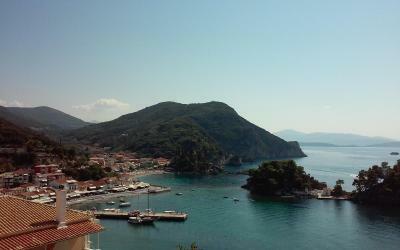 뀐 Located in the real heart of Parga, this property has an excellent location score of 9.7! When would you like to stay at Marina's House? 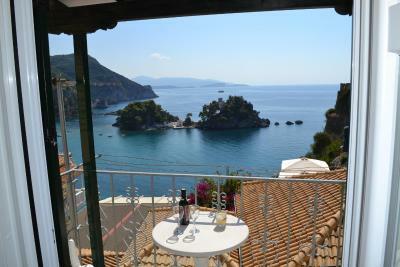 This room is located on one of the upper floors and enjoys a panoramic view to the sea, the scenic port and the Venetian Castle of Parga. 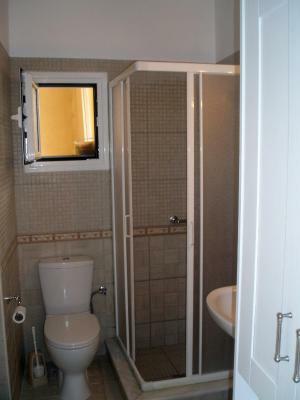 Please note that this room type can only accommodate a baby cot. No extra bed can be accommodated. 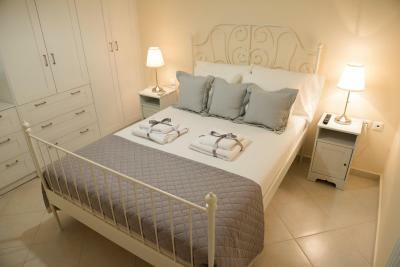 This room has a balcony with views of the surrounding streets and the city's Venetian Castle. 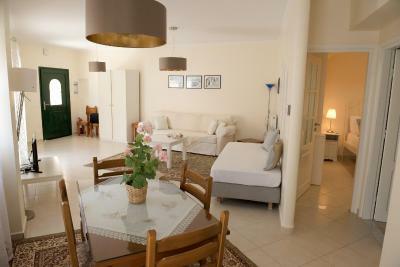 This air-conditioned apartment opens to a garden-view terrace and includes a kitchen with fridge. House Rules Marina's House takes special requests – add in the next step! One child under 2 years is charged EUR 10 per night in a crib. 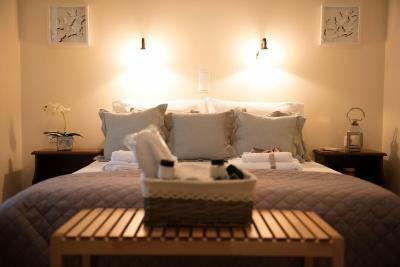 One child from 2 to 6 years is charged EUR 10 per night in an extra bed. Marina&#39;s House accepts these cards and reserves the right to temporarily hold an amount prior to arrival. Marina's House accepts these cards and reserves the right to temporarily hold an amount prior to arrival. Property located at top of hill. Quite a walk up from the town, but it was the elevation that made the view. The place is amazing, the view from the room no. 1 was breathtaking. The owner was very kind and helpful. I strongly recommend this place. 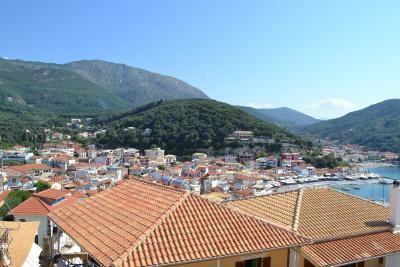 Excellent accommodation, great location and view! Mrs Marina was a great hostess! Highly recommended! 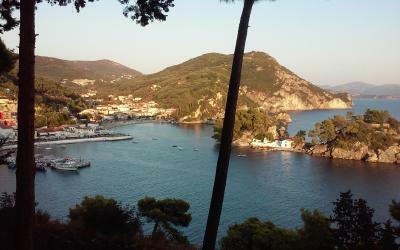 Marina's house is at the top of the gorgeous town of Parga above the all the tourism but is a very short pedestrian only walk down to the harbour where all the restaurants and bars are. If you walk the other way for 5 mins down the other side of the hill there is a wonderful beach. Its the best of all worlds. Marina welcomed us into her home as if we were her own family, she is such a lovely person. We were cycling in Greece and were worried about our bikes overnight, but she took them into her own living area for us. The room was lovely, completely spotless, very comfortable and beautiful. Its nice a quiet for a very peaceful nights sleep. Would definitely recommend Marina's house, will go out of our way to stay here again. Thank you very much. 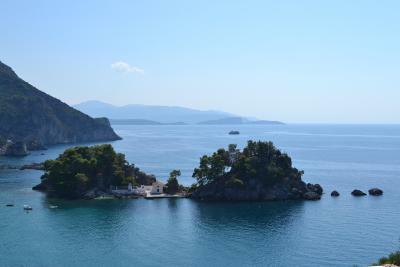 The view from the balcony was stunning and Ms Marina is always ready to provide you with anything you need! Great view, very clean house, Mrs Marina is very helpful! 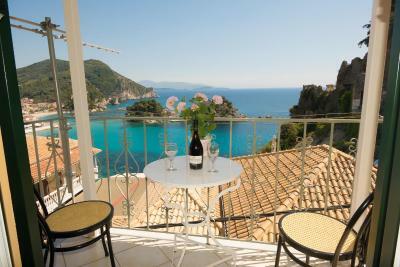 Location of the room is perfect with a breathtaking view from the balcony. 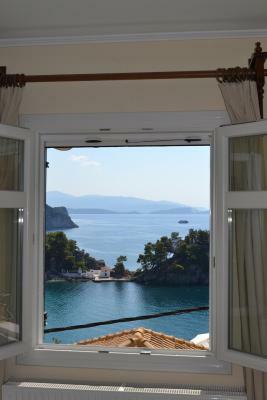 If you want to experience the perfection of the property, go for the room which has the sea view. Marina is a kind host who tries her best to make you feel like home. Definitely refommended. 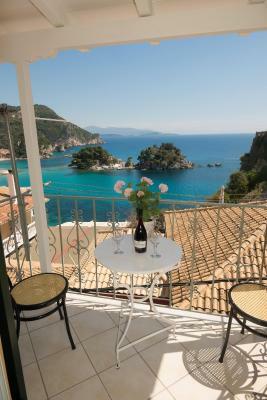 Best sea view in Parga, amazingly kind host, just a perfect stay. Next time we will stay more.